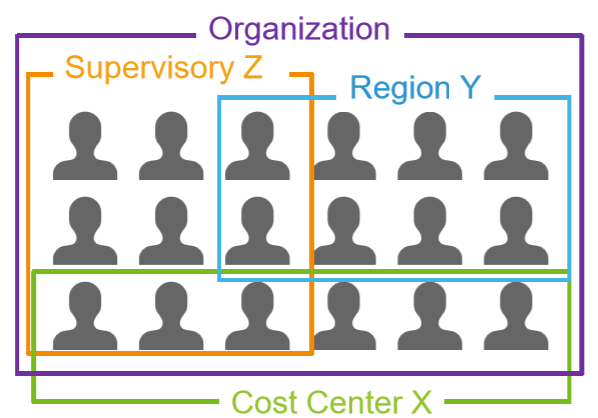 Workers are tied to multiple independent organization types, each with a different purpose. What are Organizations used for? Organization Hierarchies: Organizations can be combined into hierarchies to represent how organizations roll up to one another. Role Assignments: Workers are assigned to organization roles, which are tied to security access. If date validations are not going to be used, consider always using reorganization with an effective date of 01/01/1900 to prevent confusion. Visibility is inherited from the superior organization and cannot be updated on subordinate organizations. A work space is mapped to a location and allows for more granular location tracking, like building, suite, cubicle, etc. Optional – Reflect area of responsibility rather than physical work location. 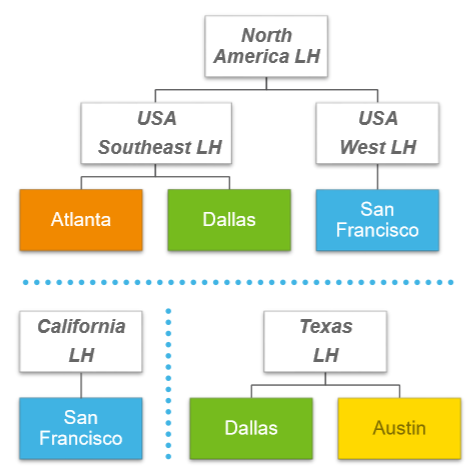 Regions can be rolled up into Region Hierarchies, often used to track geographic or sales region. Often used to facilitate financial reporting; can be used to attribute cost or revenue separately from where it originated ‒ For example, a worker in a U.S. location who supports the UK office can have their costs tagged to a UK region. Generally, not used HCM-only purposes. Allow you to track committee types, committee classifications, committee classification groups, committees, membership types, membership type targets, members, inviting committee candidates, meetings, agendas, and record votes. Conclusion: I hope with this above information you will get the idea about organisation design in workday. Bonjour. A curious dreamer enchanted by various languages, I write towards making technology seem fun here at Asha24.